There are a variety of applications for a waterproof deck. Below you will find three methods of waterproofing that we offer at Gallop Roofing & Remodeling – PVC systems, Sleeper systems and Coating systems. If you would like more information about the benefits of a waterproof deck in the Outer Banks area, we would love to provide you with a Free No-Hassle Consultation and Written Quote. PVC waterproof decks are a great decking solution on the Outer Banks because they are designed to be installed on some of our favorite locations – roof decks, balconies, around hot tubs or pool decks. We proudly install PVC waterproof decking solutions by IB Roof Systems and Duradek. PVC waterproof deck systems are available in a variety of color and texture options. For more information on Waterproof PVC deck systems, click the links below or give us a call at (800) 653-9306. 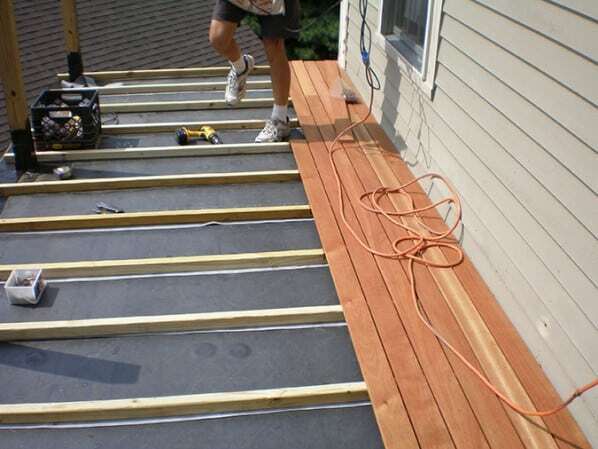 A “Sleeper” deck system is a standard wood or composite deck system built over a flat roof or a porch that has been waterproofed using a PVC or TPO membrane. This gives the appearance of a wood deck and the functionality of a waterproof system protecting the area beneath from water intrusion. 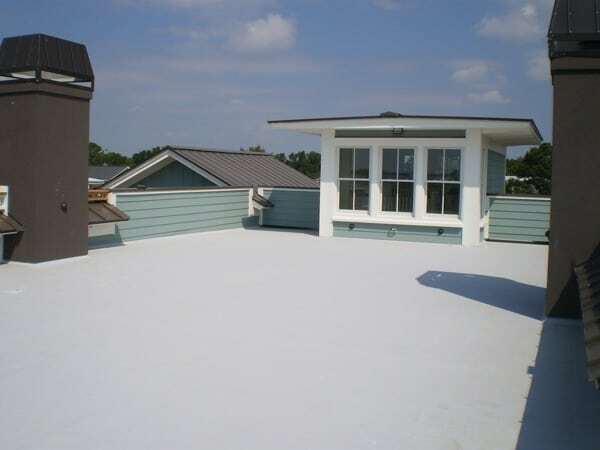 We use a PremiumCoat® system by HydroStop Inc. to create a waterproof barrier on a deck or roof. The PremiumCoat® system is renewable by recoating every five years and if it is damaged it can be easily repaired. TrafficCoat abrasion resistant coating can be applied over the system to provide a tough, easy-to-clean surface. Also, check out this Vinyl Railing System as the perfect accessory to your waterproof deck system. Dare County: Roanoke Island, Manns Harbor, East Lake, Stumpy Point, Nags Head, Kill Devil Hills, Kitty Hawk, Southern Shores, Duck, Rodanthe, Waves, Salvo, Avon, Buxton, Hatteras. Currituck County: Corolla, Point Harbor, Harbinger, Powells Point, Jarvisburg, Grandy, Poplar Branch, Aydlett, Coinjock, Barco, Maple, Sligo, Moyock, Knotts Island. Elizabeth City, Camden, Gatesville, Hertford, Ahoskie, Windsor, Edenton, Columbia, Plymouth, Roper, Creswell, Williamston, Greenville. Gallop Roofing and Remodeling, Inc.
View all feedback from Gallop Roofing and Remodeling, Inc.